The Dash Cam Pro is an as-seen-on-television product, manufactured by Inventel Products, LLC. It is a video camera that mounts to the dashboard and records video and audio of events inside and the surroundings of the car in which it is placed. Also, A lot of police officers are supposed to have these enabled in their cars, and many civilians have taken to keeping them running in their own cars, for the safety and legal coverage that having a video eyewitness can help. If you happen to listen to or watch the news any, you’ve probably heard of something called a dashcam, or dashboard camera. A lot of police officers are supposed to have these enabled in their cars, and many civilians have taken to keeping them running in their own cars, for the safety and legal coverage that having a video eyewitness can help. These little video recording devices have been around for a pretty long while. For many years, they’ve been used in Russian civilian cars, to help avoid corrupt acts performed by police there. It’s become common place for many taxis the world over have also had these devices installed for their own protection for a good number of years. In recent years dash cams have become known in America due to high profile incidents involving alleged police brutality. Civilians and their families who were victims of discrimination, rude behavior, and in some cases, victims of shootings, have been able to hold their attackers accountable because of dash cam videos. It is not an understatement to say that having a working dash cam can offer protection to a person from police brutality and corruption. These devices can either be focused on the interior of a vehicle, or the exterior of a vehicle. They are used for a few different purposes, and the purpose of the purchaser will determine which kind is used. If, for example, someone has a taxi, Uber or Lyft vehicle, he or she will need an interior dashboard camera to help protect against any potential litigation or legal threats from passengers. If, however, you’re a cautious driver just looking for protection, you’ll target an exterior view for the camera. Some people use a dash cam as a rearview camera for backing out of parallel parking spots or driveways. Of course, you may need a couple of dashboard cameras if you have a lot of uses for them or want the added protection of interior and exterior views. Most people think that good drivers, and those of certain ethnicities do not need dashboard cameras to help keep them safe. More evidence is showing that that’s not really true, and everyone may want to start considering having one connected and running in their cars. If you live in a neighborhood where parallel parking is a problem, you feel unsafe in for any reason, or you notice bad drivers around a lot, you’re definitely a prime candidate for getting a dashboard camera. Of course, for the video to be of any practical use in court you’ll want a good quality camera recording for what is going on. Some dashcams have additional functions to help sell their product as beneficial for more users than just those wanting protection. Different dash cams offer features such as a backup camera, and a built in GPS system. Some also have driving habit monitors that can be used to help your teenager become a better, safer driver. If you’ve been considering getting one of these devices, you may have heard of the Dash Cam Pro, and wondered if it’s any good. We’ve gathered together thoughts from a variety of sites, and given our own. What is the Dash Cam Pro? The Dash Cam Pro is an as-seen-on-television product, manufactured by Inventel Products, LLC. It is a video camera that mounts to the dashboard and records video and audio of events inside and the surroundings of the car in which it is placed. 1Place the Dash Cam Pro upon its pivot mount right onto your interior windshield and snap it into place upon the suction cup. 2Next, pull down the Dash Cam Pro’s wide-angle quick view screen. 3Finally, drive with the full confidence knowing that you will be safe for up to 14 hours of driving as the Dash Cam Pro records. Features included with Dash Cam Pro? 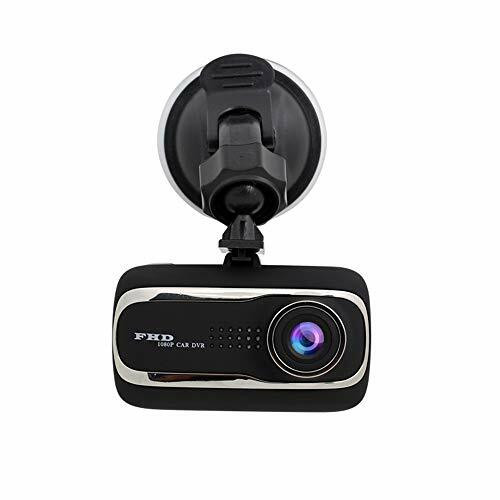 1The Dash cam Pro can be programmed to start up upon the cars ignition. This auto start feature is accomplished by utilizing the included car charger. Additionally, it can be programmed to start while parked if the Dash cam Pro detects motion. 2The Dash Cam Pro features a built-in image stabilization so that all of the video recorded as you drive does not shake from the motion of the car. 3The Dash Cam Pro features an auto adjustment for the camera so that you can continue recording a from light to dark. This is provided so that no interruptions in recording occur when the sun starts to go down, or the brightness changes between city and rural driving areas. 4All of the video recorded features an automatic time and date stamp. This a vital feature so that when and if you have to present the video as evidence you can have definitive proof as to when the video itself was recorded. 5There is an endless loop recording featured in the Dash Cam Pro. 6The camera features six built-in infrared LED lights to aid in video recording at night This aids the consumer in protecting themselves and their vehicle regardless of the time and day. 7You have the option to immediately view and review recorded footage using Dash Cam Pro’s built in screen or to download the recorded video to a computer or a flash drive to where it can be saved and shared with others as needed. What Do People Say About the Dash Cam Pro? The Dash Cam Pro is a low budget dashboard camera, usually selling for something like $32. You can find it on Amazon, those late-night infomercials, and some other sites. But it’s hard to know the quality of something like this without some actual feedback. We couldn’t really find much out on Amazon, but what little we did find didn’t give great ratings on the Dash Cam Pro. The limited reviews on Amazon gave two stars and four stars for the Dash Cam Pro. One person decided the Dash Cam Pro was a great buy, while the other guy – yes, there are only two available – said that the camera was a terrible investment. 1Without any warning or prompting, the screen would turn off randomly. This presents a problem, since trying to turn the camera back on while driving could actually cause an accident. 2When braking, whether a smooth stop or sudden stop, the camera jolts about quite a bit. 3The peripheral views of the camera are said to be terrible, no matter the adjustments made to settings, repositioning on the dashboard, or other attempts to resolve the issues. 4 Despite the advertised features of night vision, consumers say that there is no transition from daylight to darkness. Ultimately, there is no night vision feature, and zero nighttime usability for the Dash Cam Pro. 5There are no useful lights on the Dash Cam Pro. This makes finding buttons or settings difficult in under lit or dark situations. 6The Dash Cam Pro is designed to affix to the dashboard via suction cups. Consumers complain that nothing can be done to keep the Dash Cam Pro in place, and it regularly goes flying when a vehicle comes to a stop or turns a sharp corner. Of course, this renders the Dash Cam Pro basically useless. When we looked for reviews from professional reviewers, their reviews didn’t offer any better reception of the Dash Cam Pro. Professional reviewers found the Dash Cam Pro easy to get set up and turned on, but found it difficult to use the SD card that came with the Dash Cam Pro for storing data with. In fact, some even said the SD card that came with the unit didn’t work for the unit. 1The SD card is unusually difficult to remove or switch out. The cover on the compartment comes off or breaks and cannot be closed again. 2Not only is the door for the Dash Cam Pro’s SD card slot difficult to close, but it’s exceptionally flimsy. The door for the battery area is also flimsy and easily breaks or does not close properly. 3Despite being advertised as having high definition video quality, all video that the professional reviewers recorded was of a very poor nature. Full HD video, also referred to as 1080p, is a television technology which leaves high-definition television technology in the dust. This technology allows for image resolutions up to 1920 by 1080 pixels. As DashCam Pro advertises itself as HD, it would be a reasonable assumption to think that it was capable of resolutions up to 1920 by 1080 pixels. However, reviewers said that while the video on the device appeared fine, as soon as they downloaded to their computer their opinion changed. Ultimately the reviewer concluded that the video quality was similar to that of a VHS camcorder from the 1990’s, hardly HD quality video at all. Despite the best efforts of the reviewers they could not properly secure it in place with the equipment included with the DashCam Pro. The shakiness of the low quality video came from the inability to get the camera to stay attached properly. Furthermore, this is an unusual problem as the DashCam Pro is advertised as having image stabilization. The unit that was shipped came damaged – And it was the tester unit sent by the company to the reviewer for the requested review. The reviewers did note at least two positives that included having some great unadvertised features. These unadvertised features included things such as three different video quality settings, still photos, voice recording, and choosing light frequencies. The reviewers also noted that watching the playback on the device is fairly easy to do. What Do We Say About the Dash Cam Pro? While there are a few good qualities, especially the low price range of the Dash Cam Pro, we would not recommend purchasing one of these. While the DashCam Pro is advertised with a whole host of features promising to bring you safety and convince in one package, this is simply not true. What it boils down to is if you in a situation where your innocence or, heaven forbid, your life depended on the reliability of the dashcam that you were utilizing in your car, the Dash Cam Pro would let you down. If, however, you are in a situation where you absolutely cannot afford more than the typical price range of about $32 to $50, then there are some ways in which you can make the camera work in your favor. While the camera does not seem to perform as advertised, it will at least record the view immediately ahead of your car. Additionally, while it will not record at the advertised quality, it will record the views at a quality reminiscent of an old family video quality from the VHS tape era. That’s high enough quality for at least some legal use. There are a host of other great options out there that we’d recommend before than the Dash Cam Pro. If you need decent quality videos, and something that will stay in place, we’d recommend looking at some other camera options. 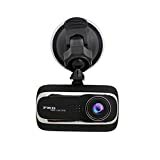 You can search online for “high quality dashboard cameras” or “reviews for great dashcams.” There are several top ten list sites, or review sites that have collected together a short list of the best dashboard camera options. Check these out, or try looking into the two dashboard cameras that we’ve determines will do as advertised: the BlackBox G1W or the Rexing Full-HD Wide Angle Dashboard Camera.